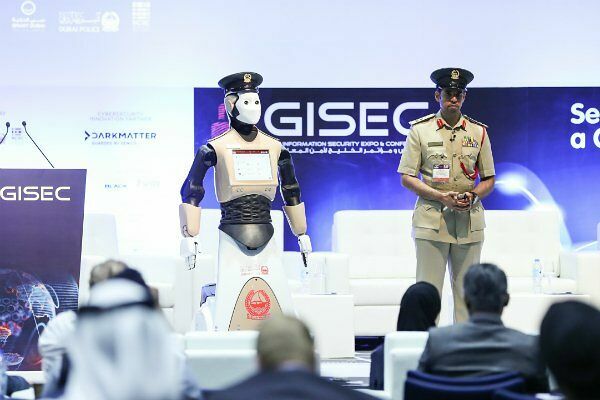 And it alls starts with this one real-life Robocop who along with the mall also spent some time at the Gulf Information Security Expo and Conference. It was built by Pal Robotics who are based in Barcelona and is known as a REEM, a full-sized humanoid service robot. 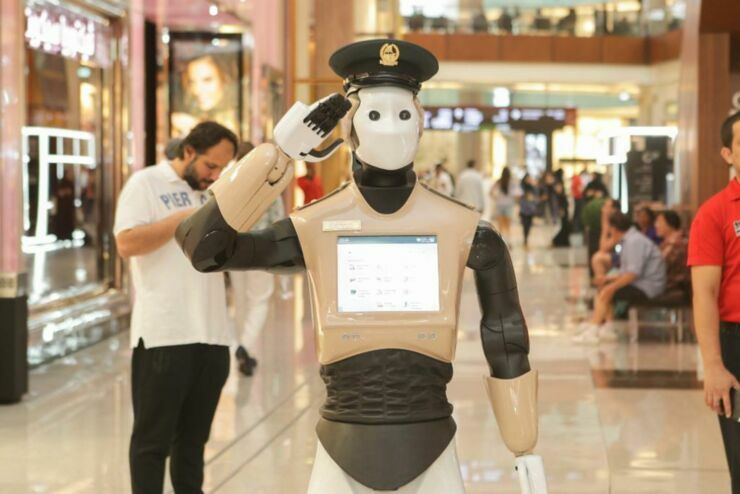 So What Does The Dubai Robot Cop Actually Do? The robot cop has a touchscreen so it can interact with shoppers, who can use it so they can report crimes and pay fines. It also has a camera as one of its eyes to send info back to a command center. It's also able to give directions, greet people, and give a salute. Fortunately it doesn't have a gun or issue commands like "Dead or alive you're coming with me." 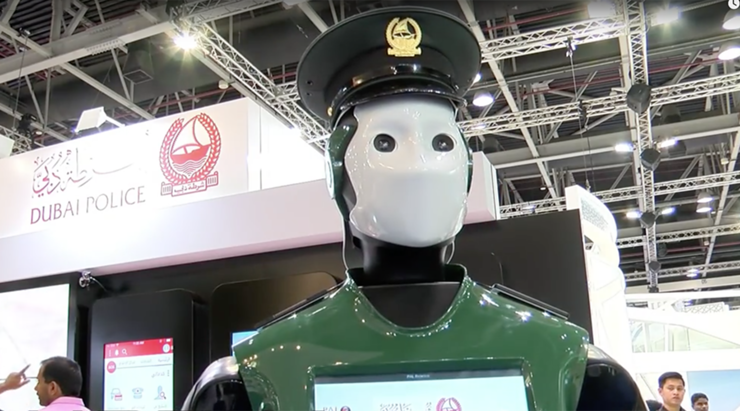 The robot cop appears to be just the beginning for Dubai's step into the future of policing though. Which does seem to have a slightly dystopian edge to it all. Or at least has the potential to turn into some kind of sci-fi prophesied robot uprising/disaster. Speaking with Gulf News Brigadier Khalid Nasser Al Razouqi, General Director of the Smart Services Department at Dubai Police, pitched in with. “We are looking to make everything smart in Dubai Police. 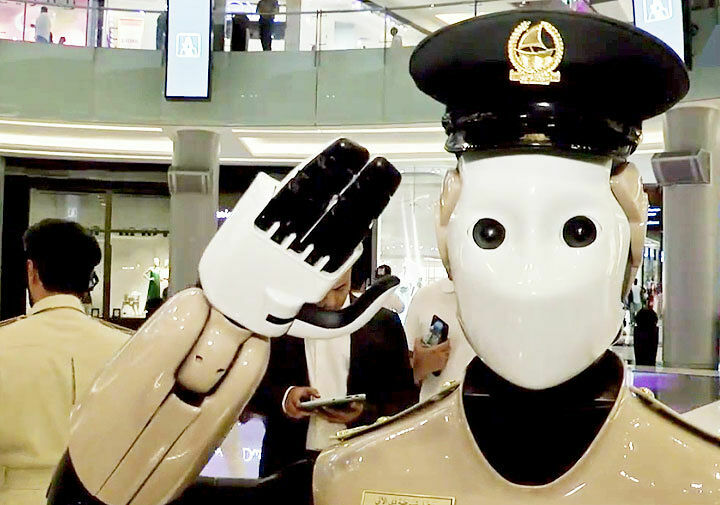 By 2030, we will have the first smart police station which won’t require human employees. We are aiming to implement many smart police mechanisms, including the smart police station and robots, and adopt artificial intelligence."